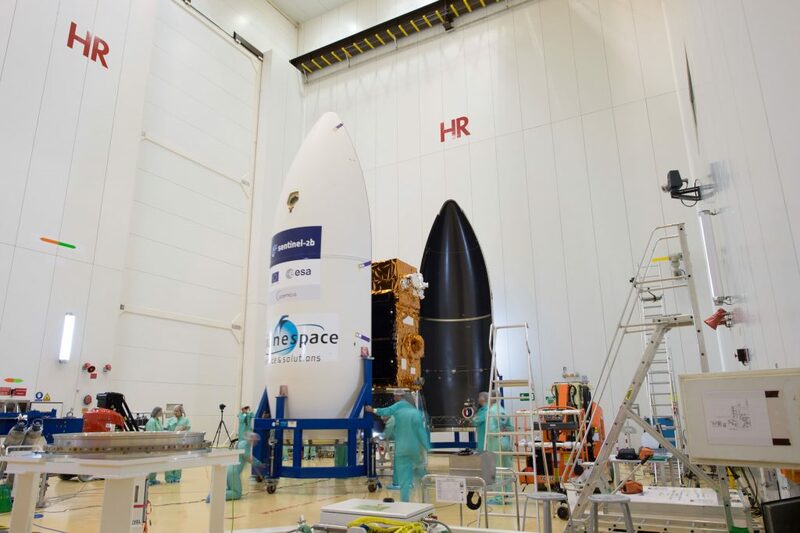 The team at Europe’s Spaceport in Kourou, French Guiana, have now said “au revoir” to the satellite they have spent years building and testing as it was encapsulated in the Vega rocket fairing. The fairing will not open again until the mission is launched on 7 March at 01:49 GMT (02:49 CET; 22:49 local time on 6 March). Encapsulation is a milestone, and needless to say a rather emotional one, during the campaign to get a satellite ready for liftoff. 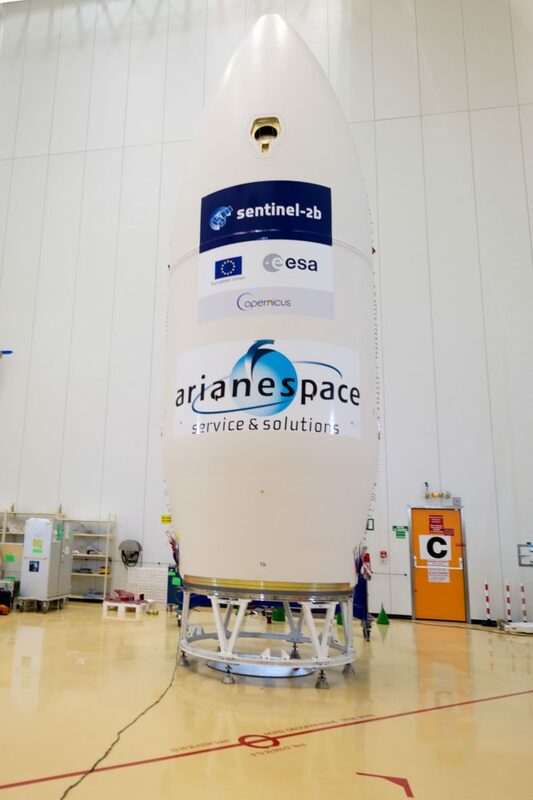 Since its arrival at the launch site at the beginning of January, Sentinel-2B has been through a series of stringent tests to confirm there was no damage during its journey from Europe. 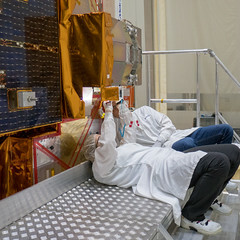 These tests have made sure that everything is in good working order so that this new satellite will deliver the images to monitor Earth’s vegetation and changing lands – along with its twin, Sentinel-2A, which has been in orbit since last June. 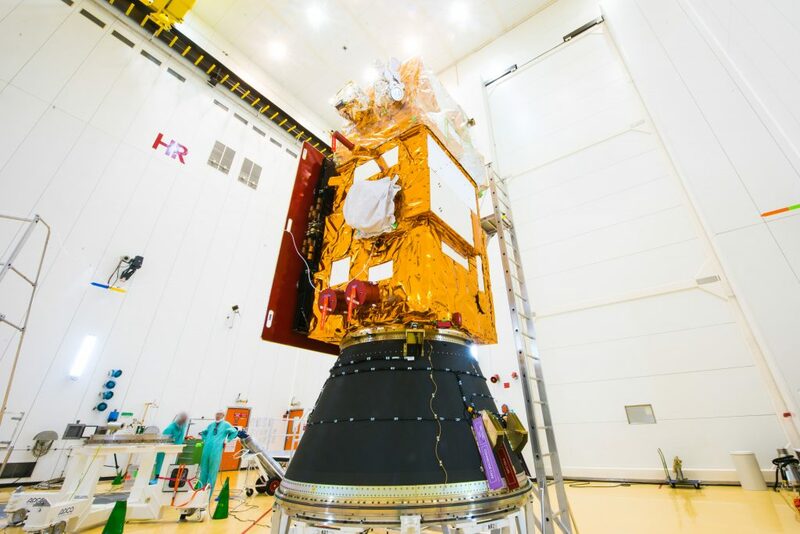 The delicate and risky task of fuelling the satellite took place a few days ago, after which it was joined to the Vega adapter. The protective covers, called ‘red tag items’, were then removed before it was encapsulated in the rocket fairing, which protects the satellite during the first part of the launch. The next step will be to transfer the ‘payload assembly composite’ to the launcher.